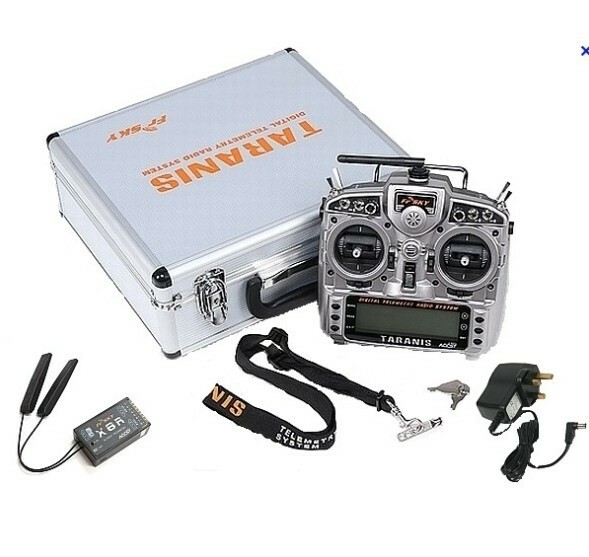 The revolutionary Taranis has transformed R/C transmitter capability giving you total programming control to do anything you can think of and with Frsky's range of receivers and sensors you have everything you could possibly need! Or take the combo1 with EVA soft shell bag, easy to carry and adds protection to you new investment. 1 - Hold last known commands. 2 - Go to a programmed state (e.g. cut the throttle, flaps down, etc. 3 - No output (this triggers flight controllers with a "return to home" feature). 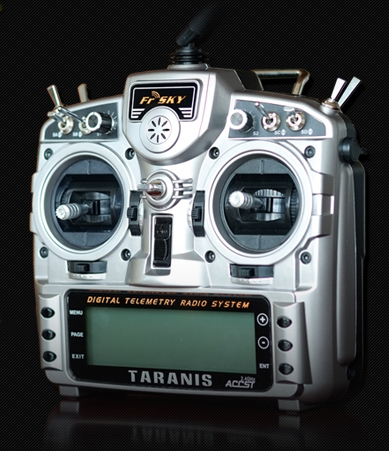 The Taranis Plus has a higher quality, better contrast LCD display with blue or white backlighting, and haptic feedback built in. It also has new sliders, the big low self-discharge battery, and all of the other great features you have come to expect from FrSky. Shifting Technology) communication system. This frequency hopping technology takes advantage of the entire 2.4GHz band resulting in excellent range and reliability. 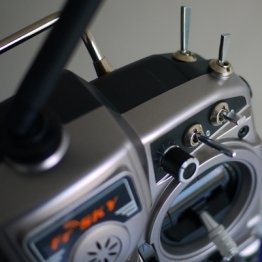 The most important aspect for any transmitter is maintaining a rock solid connection with the receiver. ACCST is perhaps the most reliable protocol on the market today. Being bidirectional means that as well as the transmitter controlling the receiver, data from the receiver can be sent to your transmitter. 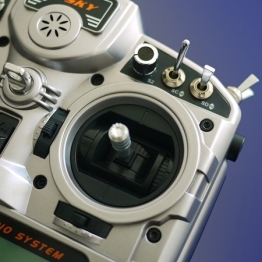 FrSky knows many things can affect the connection between Transmitter and receiver so RSSI (receiver signal strength indication) is incorporated into all telemetry receivers. 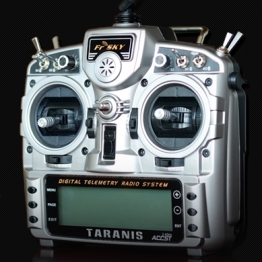 The Taranis transmitter is continually monitoring the reception quality at the aircraft. 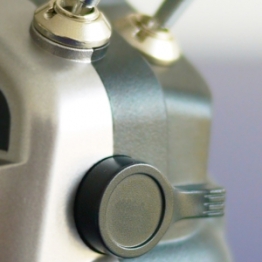 Taranis will alert the pilot before signal quality becomes critical. This saves planes and makes the hobby much safer! A protocol called PXX is used to produce super low latency between the transmitter and RF module. D16 - PXX protocol, 16 signal channels with telemetry, normal flight. Works with any XR, XM, SR Receivers. 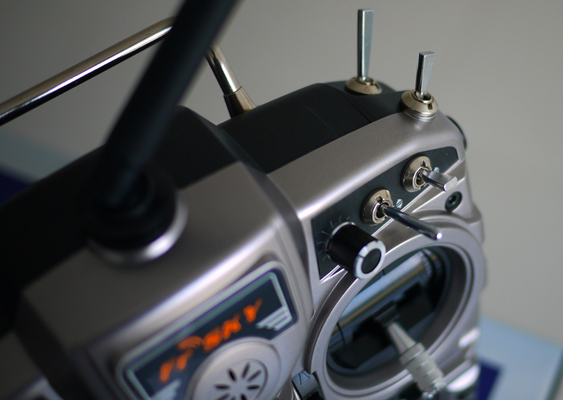 LR12 - PXX protocol, 12 signal channels without telemetry, long range flight, up to triple the range. Works with L9R long range receivers. single daisy-chained line of cables. 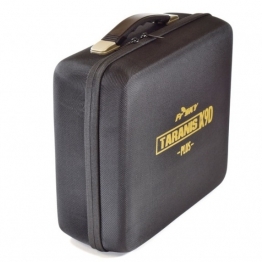 The TARANIS X9D plus has a large monochrome backlit 212 x 64 LCD screen. The X9D plus has inbuilt telemetry display capability, so you don’t need additional add-ons or 3rd party devices to display telemetry information. Model data, music files, voice files and picture files can be stored on the SD card. 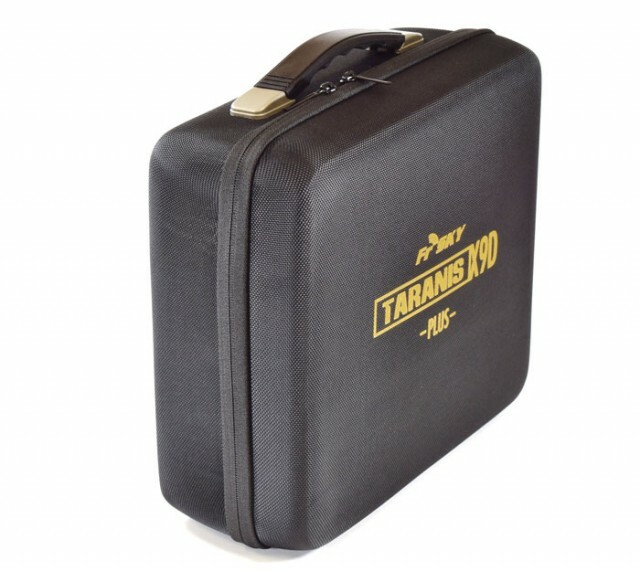 The SD card can also be used when updating the software/features of the TARANIS X9D plus. 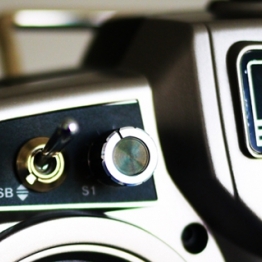 The X9D plus can play back WAV (Waveform Audio Format) files stored on its SDCard. You can easily add custom sound files of your own. 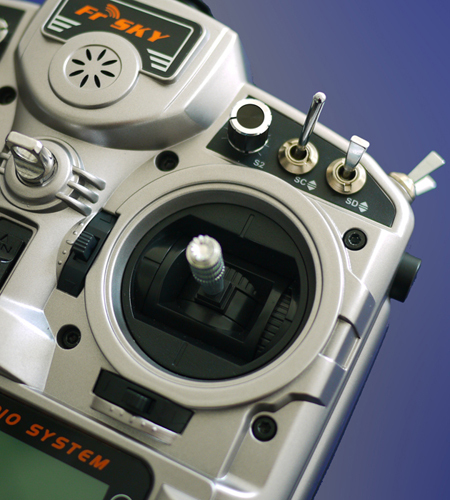 The X9D plus also offers vibration as an additional pilot feedback for alarms, etc. momentary etc.) and then reprogram the radio for those switches. controllers having return-to-home GPS on loss of signal), or moving the servos to custom predefined positions. Macintosh are very receptive to input and requests from users. There are no limitations based on marketing decisions. If you can think of it, chances are the Taranis is capable of doing it. With 60 model memories, tons of mixes, 9 flight modes, sequencing, servo speed, programmed delays, all kinds of triggers, and the ability to assign any channel to anything, it is hard to come up with something this radio can't do. 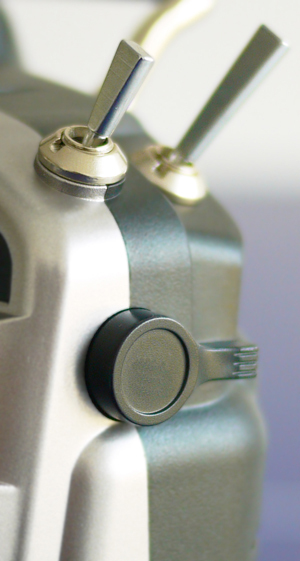 A nice feature of the radio is the ability to connect to a PC via the USB port, allowing you to move files between the PC and the radio, including telemetry data files for analysis. • Selectable tx mode (1, 2, 3, or 4). Ships in Mode 2, Throttle on left stick. • 3 timers, count up or down, throttle %, talking, etc. • Trims Adjustable from course to extra fine with extended and exponential trim options. • Integrates with OpenTX Companion (Windows/Mac/Linux) – a FREE computer program that can be used to set up models. It also has wizards to speed up the setup process. You can save, edit and share your models and settings as well as simulate your transmitter or model setup. used). 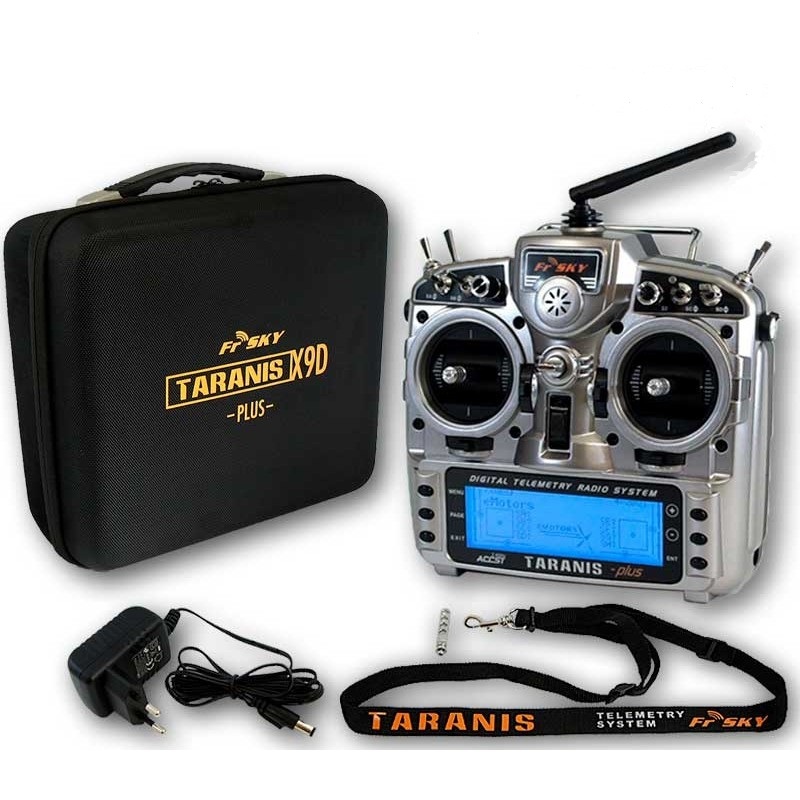 Note that the Taranis X9D Plus EU version is only compatible with LR and X series EU version receivers. 6 cell Nickel–metal hydride battery is standard. • Current drain: 260 mA maximum (both RF power and backlight on).